Because they’re independent films they aren’t rated, but we have some notes provided from those who screened the films that tell us if there is any explicit content. Here are the notes for each film. 1971: Note says it probably wouldn’t be appropriate for children (but doesn’t give an age reference). Imba Means Sing: None, family friendly. Dorothea Lange: None, art photos (no further explanation on that). Each film’s website is noted in the press release if you want to visit those sites and get more information and view the trailers for the films. We look forward to seeing Everest Academy students at our events. “1971” will be shown on Oct. 15 at 6 p.m., and tells the story of a March 8, 1971, break-in at an FBI office in Media, Penn., during which every file in the office was removed. The documents were mailed anonymously to newsrooms and revealed an illegal surveillance program overseen by FBI director J. Edgar Hoover. No arrests were ever made and, until now, those responsible never revealed their identity. For more information about the movie, visit www.1971film.com<http://www.1971film.com>. “Imba Means Sing” will be shown on Nov. 19 at 9:30 a.m. The story follows three children from the slums of Kampala, Uganda, through a world tour with the Grammy-nominated African Children’s Choir. Go to the film’s website at www.imbafilm.com<http://www.imbafilm.com> for more information. “Dorothea Lange: Grab a Hunk of Lightning” will be shown Feb. 18, 2016, at 6 p.m. The film will explore, through her granddaughter’s eyes, the life of acclaimed photograph Dorothea Lange who captured the iconic image “Migrant Mother” that personified the Great Depression. To learn more about the film, visit www.grabahunkoflightning.com<http://www.grabahunkoflightning.com>. On March 10 at 6 p.m., “American Made Movie” will look back on the glory days of manufacturing in the United States, when there was a more balanced relationship between the goods produced and consumed, and illustrates how technology and globalization have changed the competitive landscape for companies doing business in America and overseas. Visitwww.theamericanmademovie.com<http://www.theamericanmademovie.com> for more about the film. “Althea” will be the last film of the series on April 14 at 9:30 a.m. Althea Gibson grew up as a truant on the rough streets of Harlem but emerged as a most unlikely queen of the highly segregated tennis world of the 1950s. She became the first African-American to play and win at Wimbledon and Forest Hills, a decade before Arthur Ashe, only to be shunned by the tennis establishment. For more information about the film, visit www.altheathefilm.com<http://www.altheathefilm.com>. All of the films will be screened in the Recital Hall of the Burrow Center for the Fine and Performing Arts. Admission is free and open to the public. The Southern Circuit Tour of Independent Filmmakers is a program of South Arts. Southern Circuit Screenings are funded in part through a sponsorship with the National Endowment for the Arts. Visit www.southarts.org<http://www.southarts.org> for more information about the series or call The Evelyn Burrow Museum at 256.352.8457 or visit www.burrowmuseum.org<http://www.burrowmuseum.org> or www.wallacestate.edu<http://www.wallacestate.edu>. “I Will Dance” will open up the Southern Circuit Tour of Independent Filmmakers at Wallace State Community College on Thursday, Sept. 17, at 6 p.m., in the Recital Hall of the Burrow Center for the Fine and Performing Arts. The film is about an integrated theater group from Selma, Ala.
Before WikiLeaks or even Watergate, a group of eight ordinary citizens broke into an FBI office in Pennsylvania and uncovered evidence of spying and intimidation. The film “1971” finally identifies those people and tells their story. The film will be shown Thursday, Oct. 15, at 6 p.m., in the Recital Hall of the Burrow Center for the Fine and Performing Arts at Wallace State Community College. 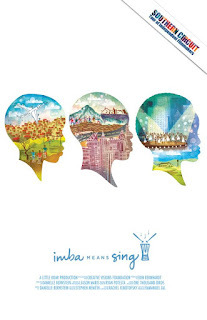 “Imba Means Sing” follows the story of Ugandan child who travels with the Grammy-nominated African Children’s Choir, and how his family’s hopes and dreams are placed on his young shoulders during this once-in-a-lifetime opportunity. The film will be shown on Thursday, Nov. 19, at 9:30 a.m., in the Recital Hall of the Burrow Center for the Fine and Performing Arts at Wallace State Community College. The granddaughter of the famous photographer Dorothea Lange shares her grandmother’s life story with never-before-seen photos, film footage, interviews, family memories and journals. “Dorothea Lange: Grab a Hunk of Lightning,” will be shows on Thursday, February 18, 2016, at 6 p.m., in the Recital Hall of the Burrow Center for the Fine and Performing Arts at Wallace State Community College. “American Made Movie” is a documentary that follows ordinary Americans working to save their livelihoods and support their families and employees by finding new solutions in a global economy that threatens their business and way of life. The film will be shown on Thursday, March 12, 2016, at 6 p.m., in the Recital Hall of the Burrow Center for the Fine and Performing Arts at Wallace State Community College. “Althea” shares the story of Althea Gibson, a truant from the rough streets of Harlem who emerged as a most unlikely queen of the highly segregated tennis world of the 1950s. The film will be shown on Thursday, April 15, 2016, at 9:30 a.m., in the Recital Hall of the Burrow Center for the Fine and Performing Arts at Wallace State Community College.